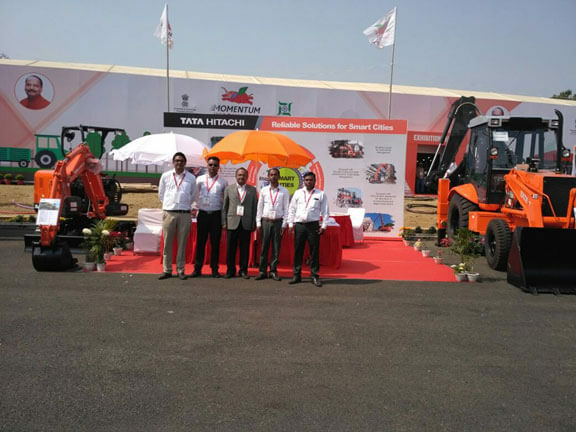 Tata Hitachi Construction Machinery Company Private Limited, a leader in the construction and earthmoving equipment industry in India participated in Momentum Jharkhand recently. With the support of Ministry of External Affairs and Confederation of Indian Industry (CII), the State of Jharkhand organized its maiden “Momentum Jharkhand” Global Investors’ Summit in Ranchi with the objective of attracting Investments. 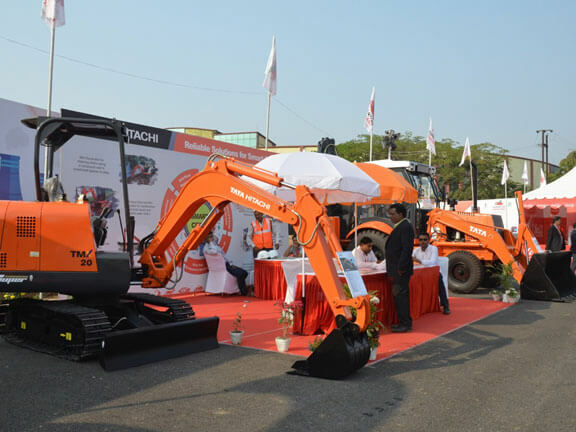 Tata Hitachi displayed its flagship mini excavator TMX 20, manufactured at the Jamshedpur plant in Jharkhand along with the backhoe loader TH 86. Both the models displayed were in-line with the company’s objective of partnering with Government organizations and contractors in tune with the initiatives of Smart Cities and Swachh Bharath. Mr Sandeep Singh, MD, spoke at the seminar on Make in Jharkhand and deliberated on investment opportunities in manufacturing in Jharkhand. With products and solutions targeted at Municipalities, Civic Utilities, Solid Waste Management and Urban Infrastructure applications, the Tata Hitachi stall at Momentum Jharkhand generated a lot of interest amongst visitors, delegates and the Government officials who appreciated the products and their unique features.